Jane Brookshaw’s cartoon animals are always popular, and feature in many of the Dunoon designs. Depicted in a humorous cartoon style with crazy eyes and brightly coloured bodies they never fail to make you smile! 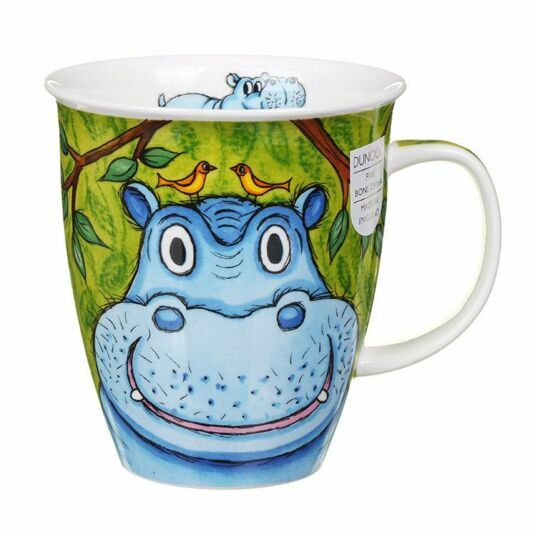 This mug features two bright blue hippos, with a colourful green background. 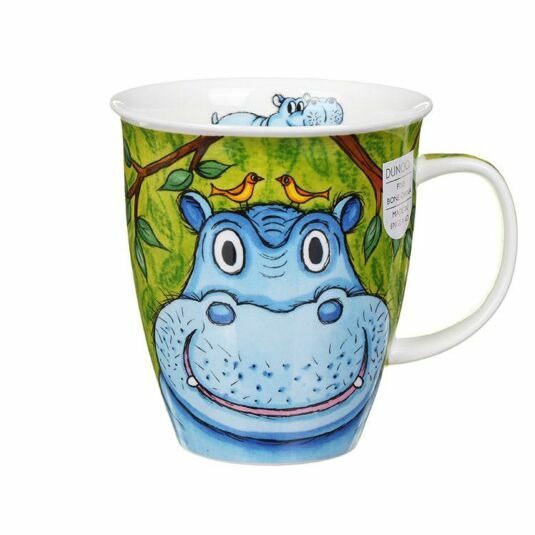 Leaves and a light green background run down the handle, along with a hippo sitting on the inside rim of the mug.